Up to 50% off ombre cardigans, velvet dresses, gorgeous heels, and more! Everybody rejoice! Why? 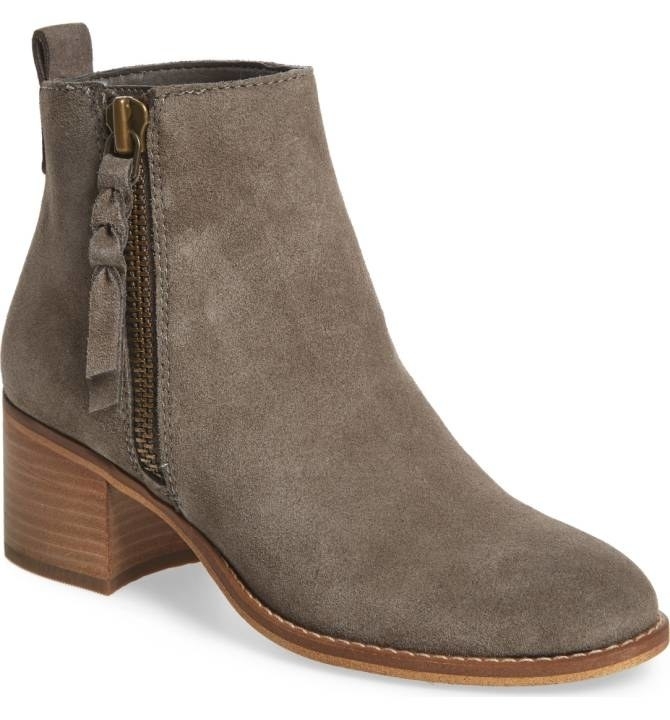 Nordstrom is having their end-of-year sale and dresses, jackets, shoes, bags, tops, jeans, sweaters, and more are all available at deeply-discounted prices. 1. 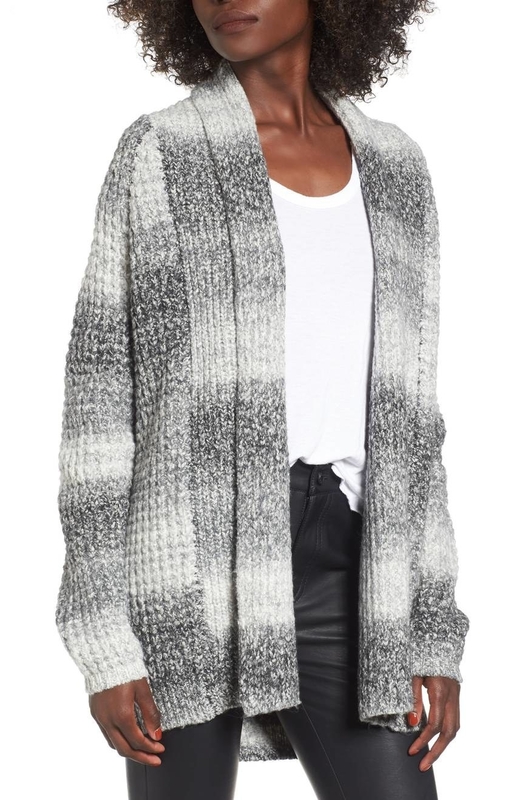 An open-front cardigan you'll wear every single day. 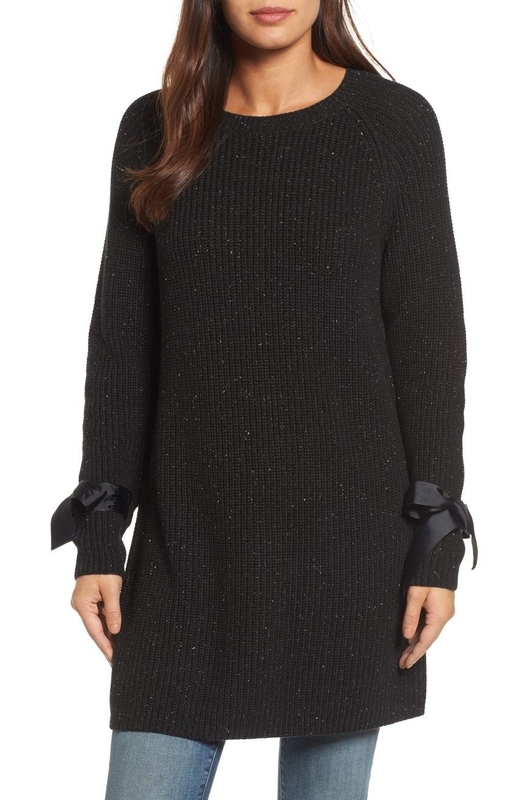 This long, cozy number is perfect for layering. Price: $29.90 (originally $49) / Sizes: XXS-XXL / Available in two colors. 2. 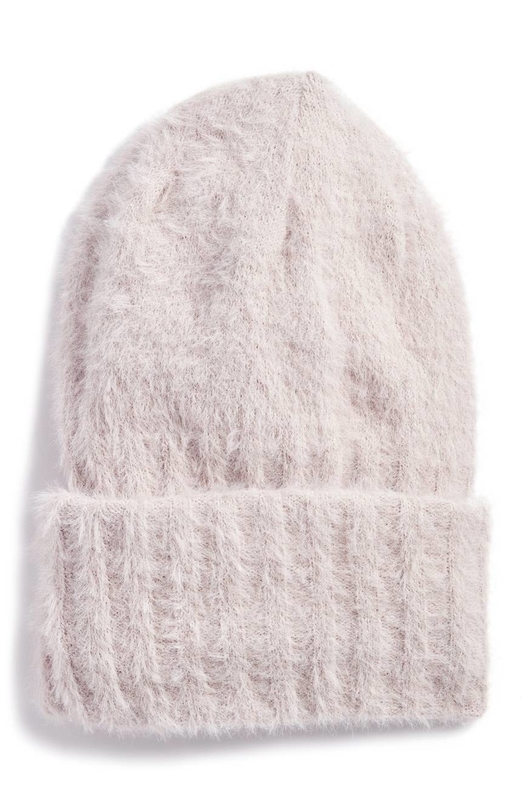 A dusty pink pullover you should purchase with caution. This is NOT ideal for someone who has dust allergies. JK. 3. Block heels made for walking. 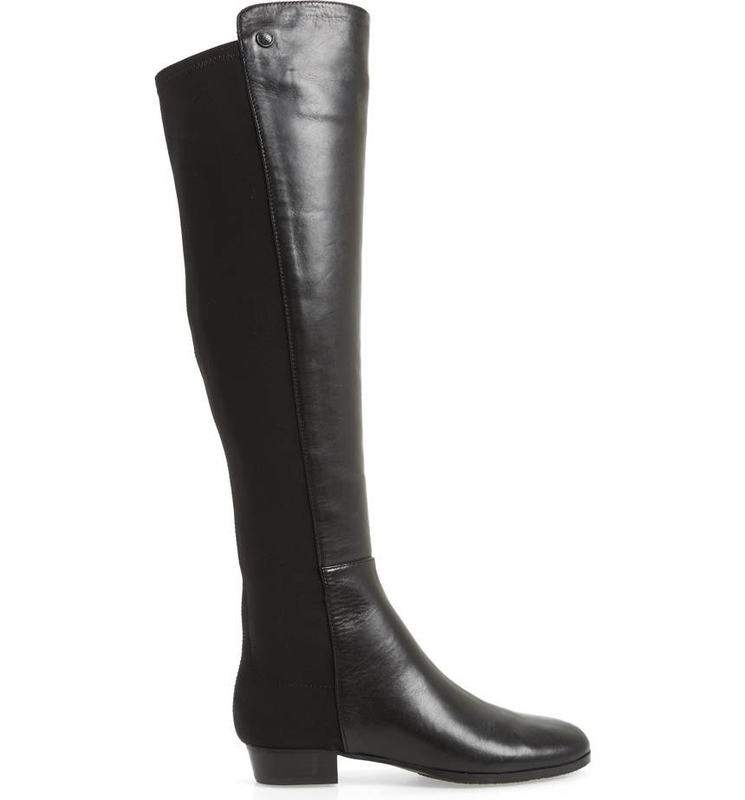 No, really, these'll give you some extra height without making it painful to walk. 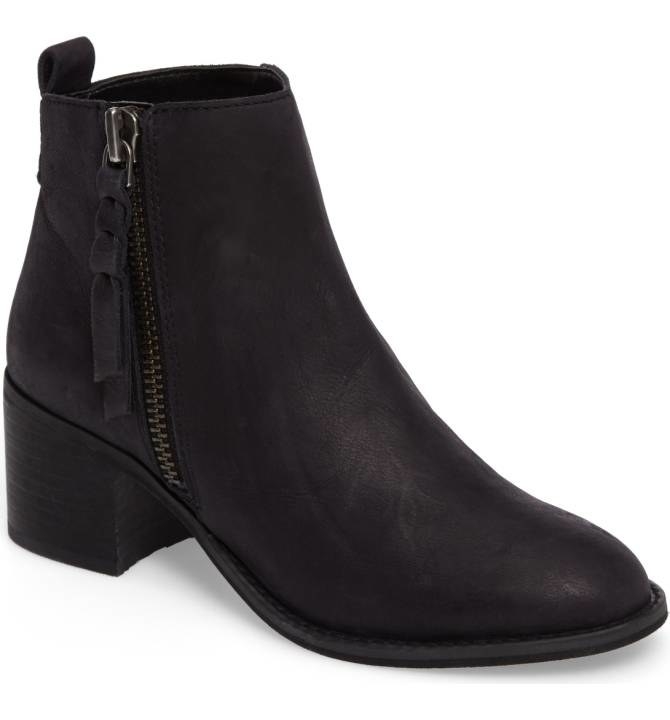 Price: $59.96 (originally $99.95) / Sizes: 4-13 / Available in three colors. 4. A wide leg cropped jumpsuit with the word "classy" sewn into the tag. Obviously. 5. 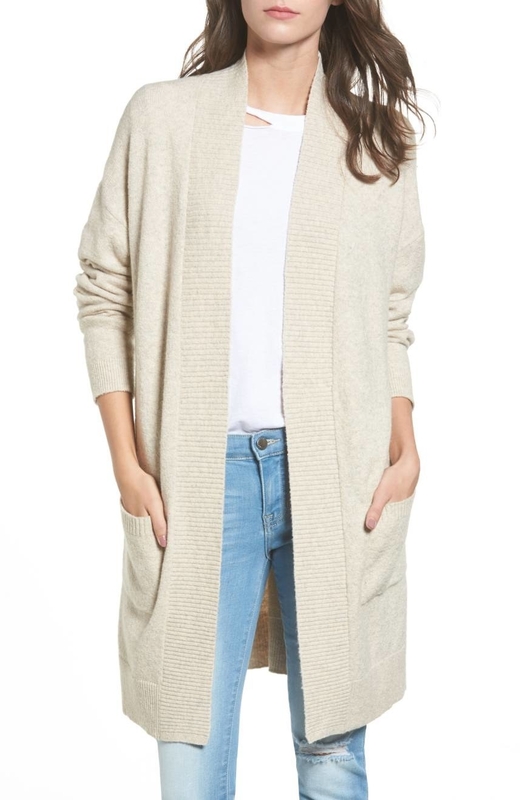 An ombre cardigan sure to have you asking "ommm, why don't I already own this?" Price: $37.20 (originally $62) / Sizes: XXS-XXL / Available in two colors. 6. 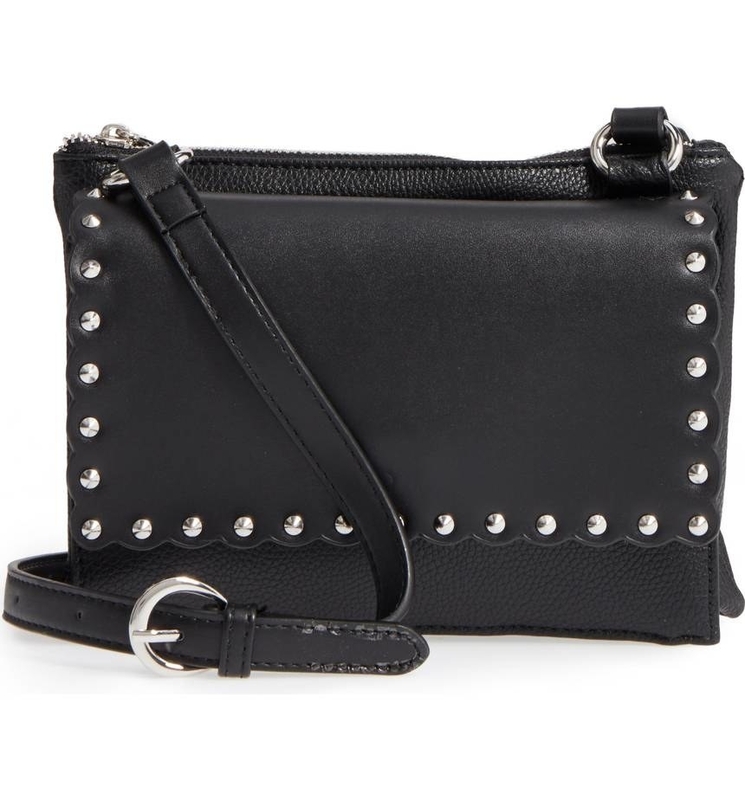 A clutch (with a removable shoulder strap) that looks like it belongs on display at some fancy museum. 7. 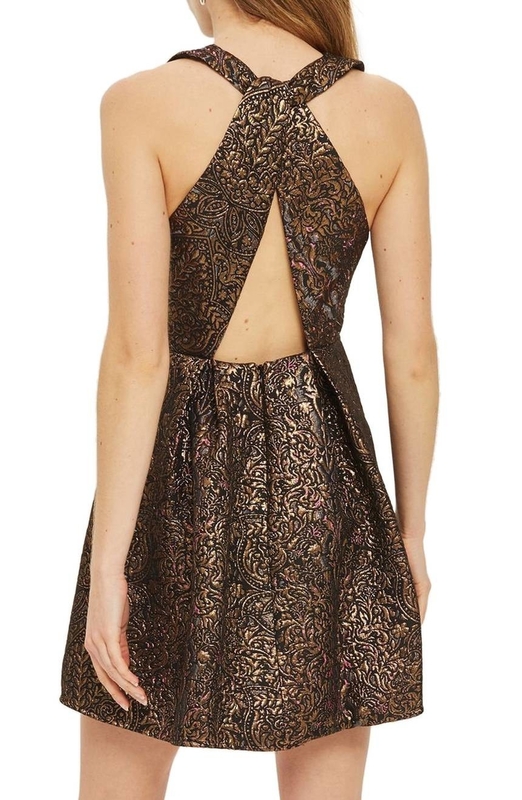 A skater dress known for being slightly clingy. It'll be backstage after every single show. 8. 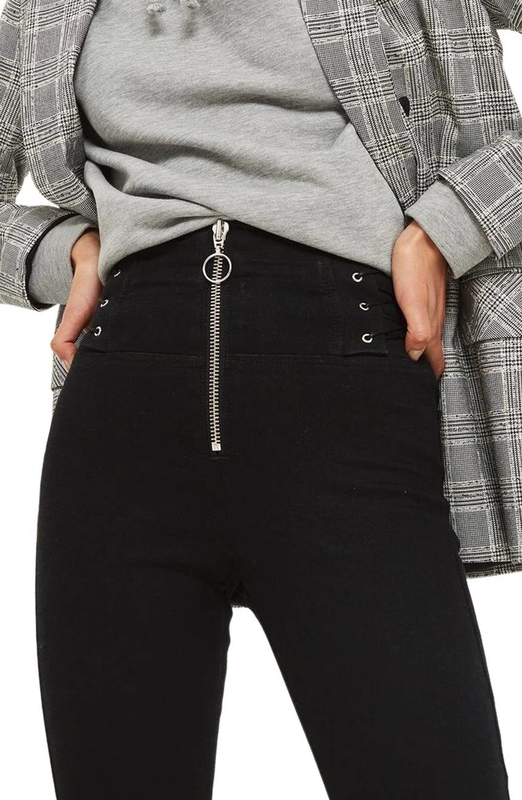 High-waist skinny jeans with lace-up detailing. 9. 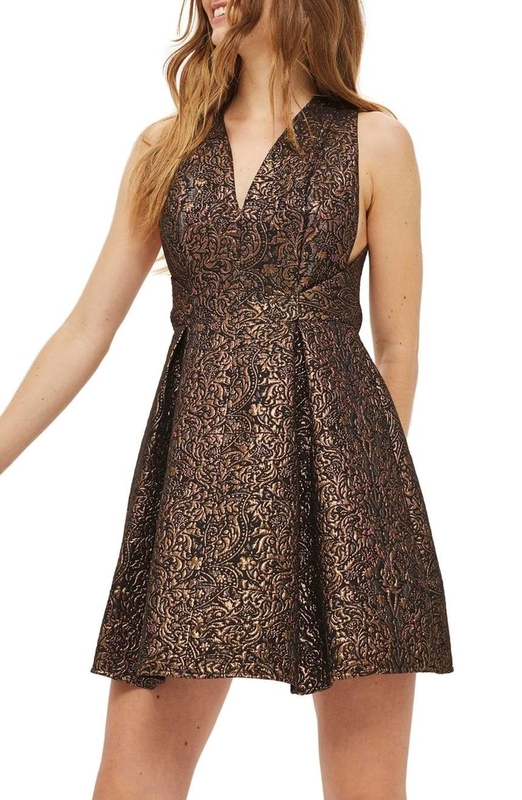 A jersey knit fit to flare dress sure to add a little ~flare flair~ to your closet. 10. 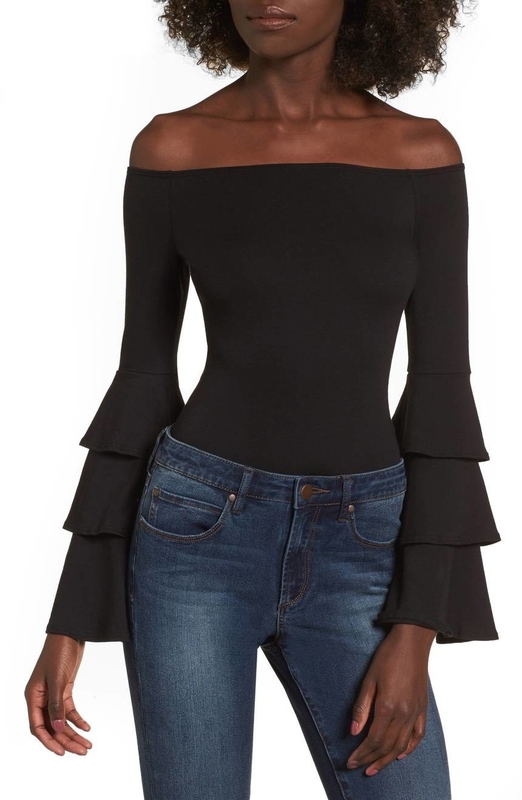 A bell sleeve blouse known for being particularly ferocious. 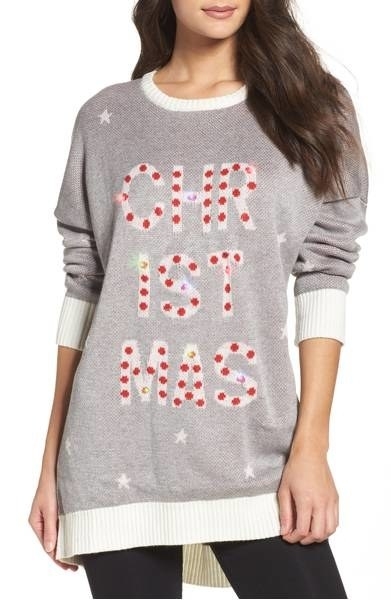 However, this'll make the prr-fect addition to your wardrobe. Price: $29.90 (originally $79) / Sizes: XS-XL / Available in eight colors. 11. 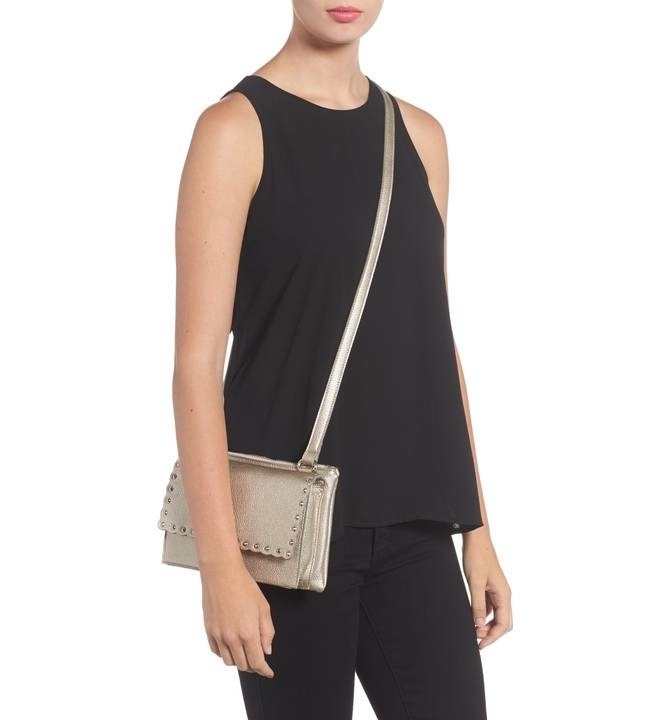 A faux leather crossbody bag guaranteed to become your go-to, I-will-use-this-every-single-day purse. 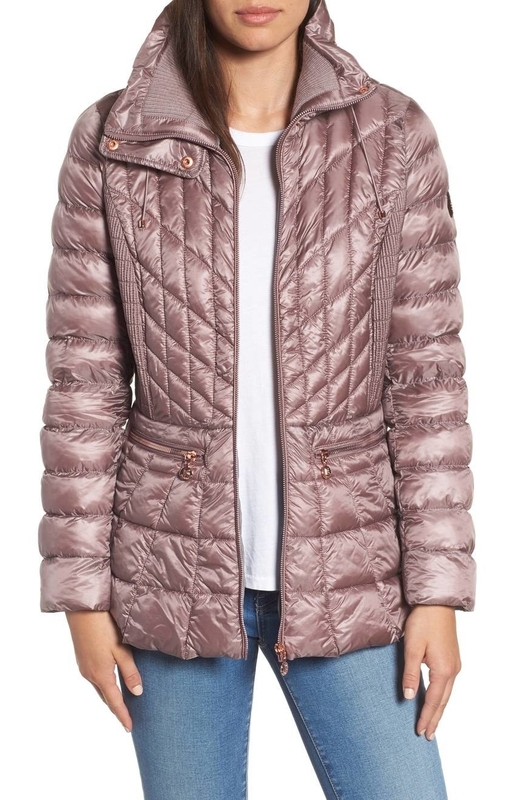 Price: $35.40 (originally $49) / Available in four colors. 12. A peacoat named after royalty. DoesThe Princess and the Pea ring any bells? Price: $37.90 (originally $58) / Sizes: XS-XL / Available in four colors. 13. Stud earrings obsessed with Toy Story. They're always yelling "TO INFINITY AND BEYOND!" So weird. 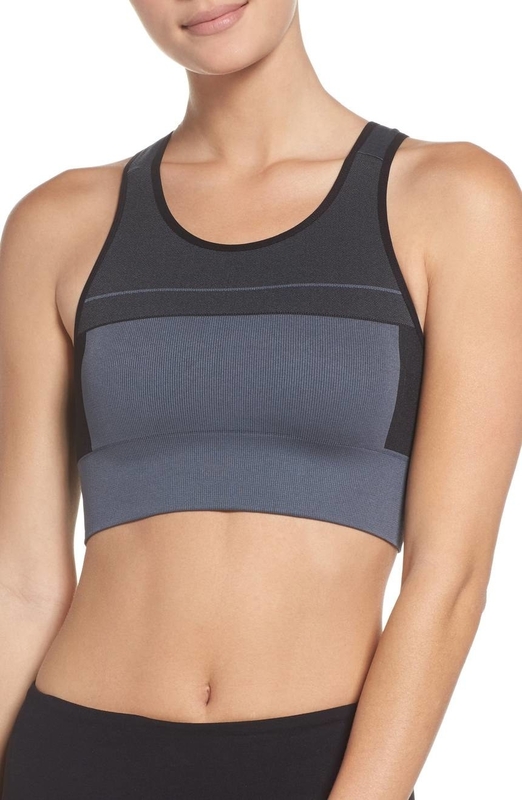 Price: $24.49 (originally $49) / Available in three colors. 14. 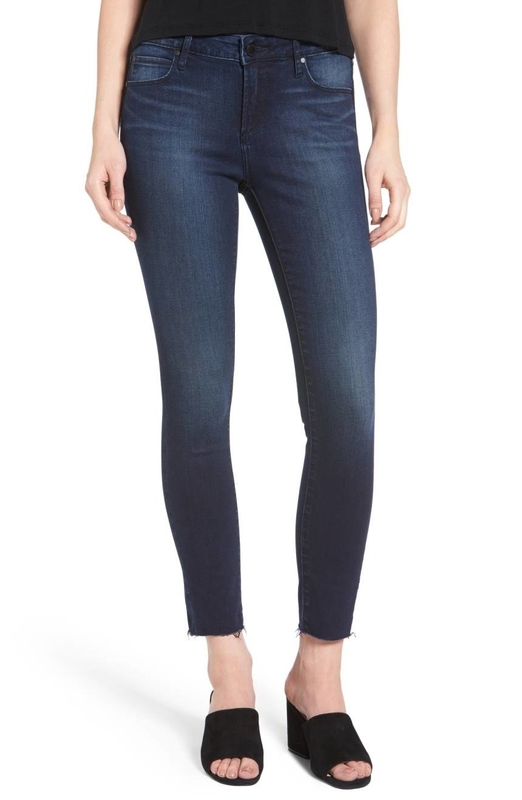 Stretchy skinny jeans for legs that are sick of classic blue washes. Bring on some colors! Earth tones, preferably! Price: $57 (originally $114) / Sizes: 00-18 / Available in seven colors and petite sizes. 15. A velvet top for shoulders that don't mind being a little exposed. They're young! They want to take some risks! Price: $38.90 (originally $59) / Sizes: XS-XL / Available in four colors and petite sizes. 16. A light-up sweater to buy in preparation for the 2018 holiday season. Hey, it's never too early. Price: $33.98 (originally $68) / Sizes: S-XL / Available in two colors. 17. 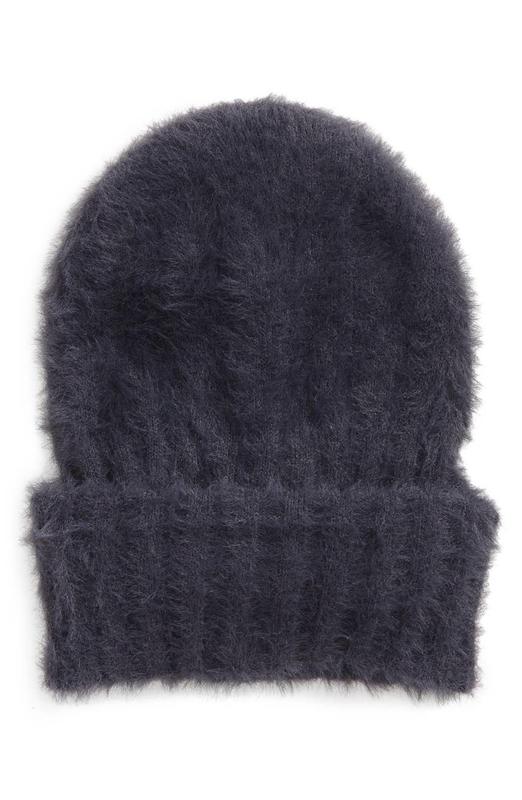 A fuzzy knit beanie made from an ultrasoft material that'll keep your noggin warm and cozy. Price: $22.80 (originally $38) / Available in four colors. 18. 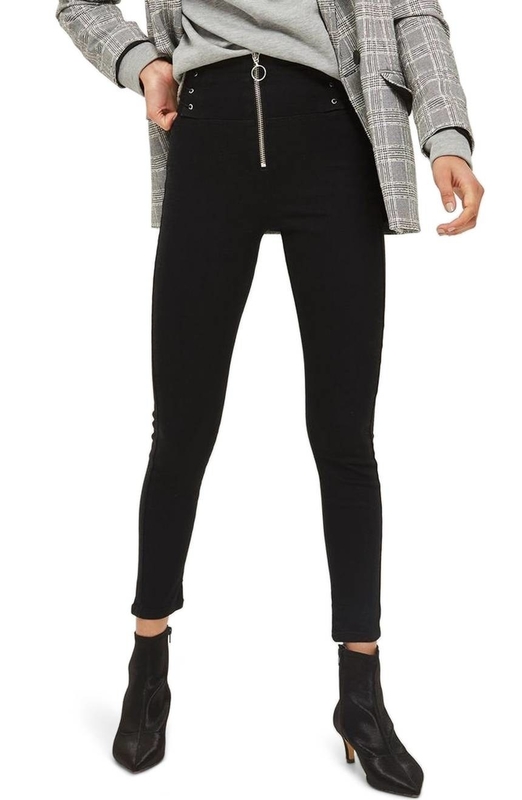 A soft turtleneck that'll feel like wearing your favorite t-shirt, except this looks slightly more professional. You know? Price: $32.83 (originally $49) / Sizes: 0X-3X / Available in two colors. 19. 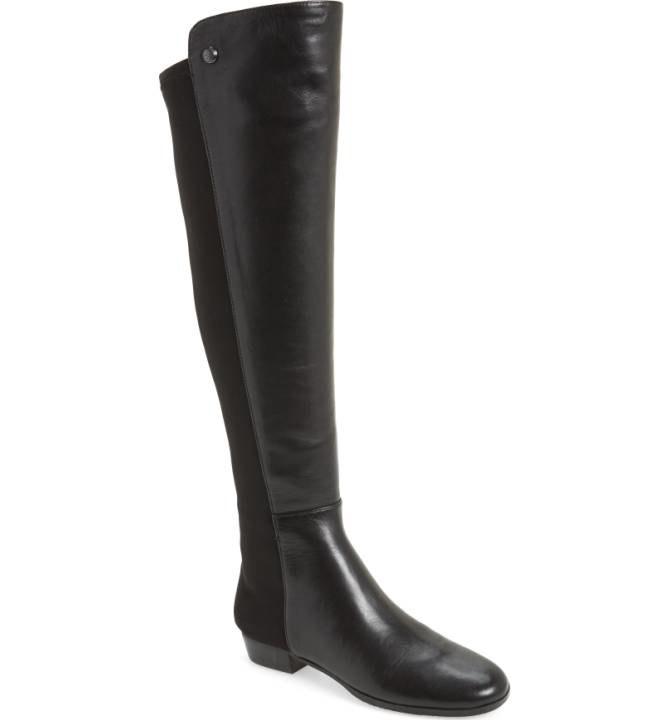 Leather over-the-knee boots for knees that need to be protected from the elements. They get chilly sometimes, too. 20. 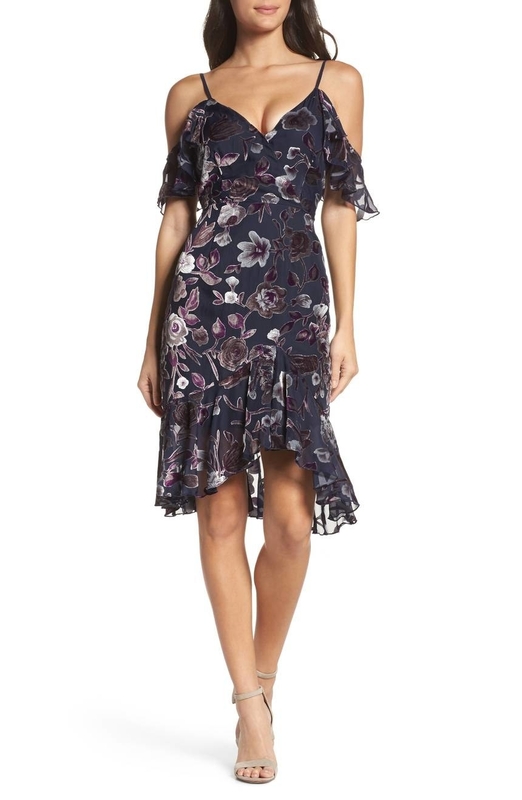 A velvet flutter-sleeve dress that'll be the star of its own romantic comedy one day, I swear. 21. 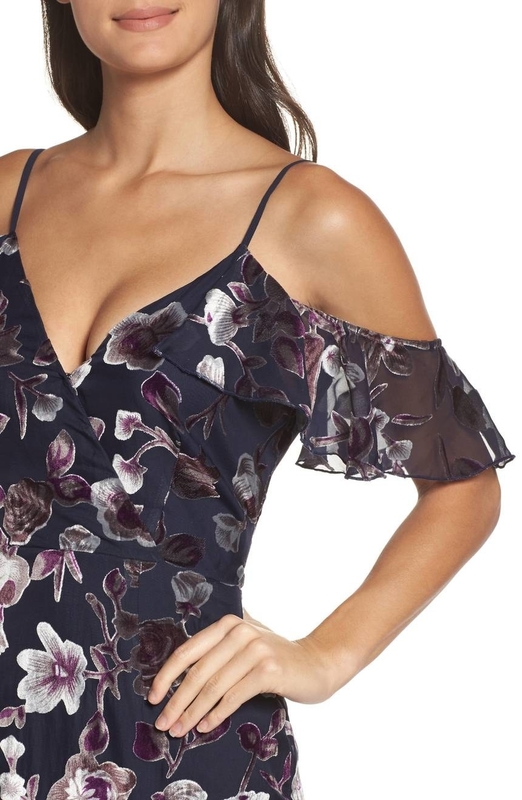 A ruffle lace-up top not intended for people with poor vision. 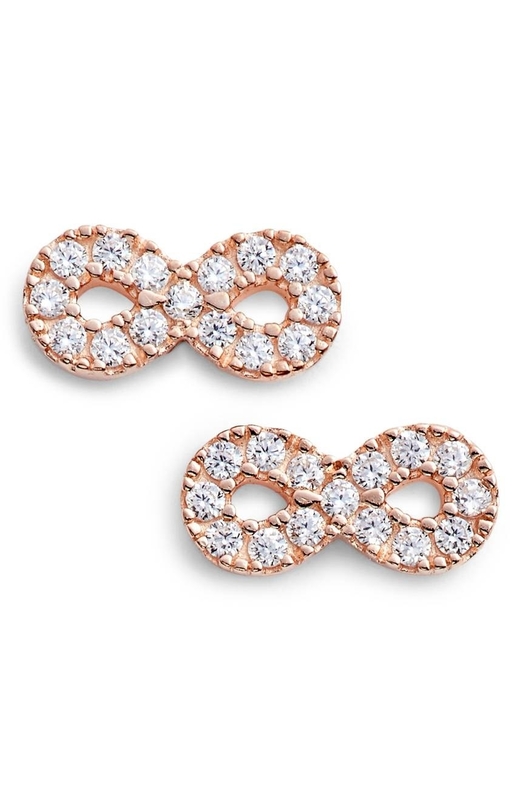 This is known to leave wearers seeing stars. 22. A faux leather biker jacket that screams "why yes, I am a badass. However did you know?" 23. 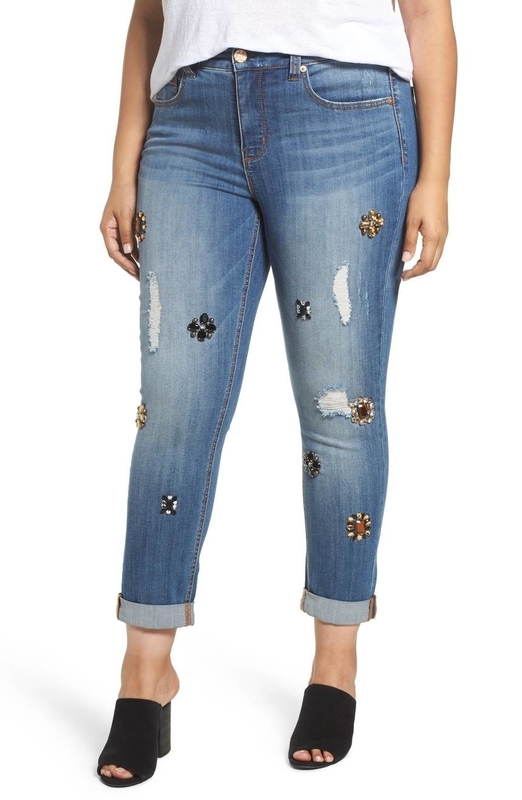 Jeweled light-wash skinny jeans for legs that want to stand out, dammit. They want some pizzaz! 24. A cold-shoulder midi dress trying to exude Proto Zoa-inspired vibes. I'm sure you can see it, too. 25. 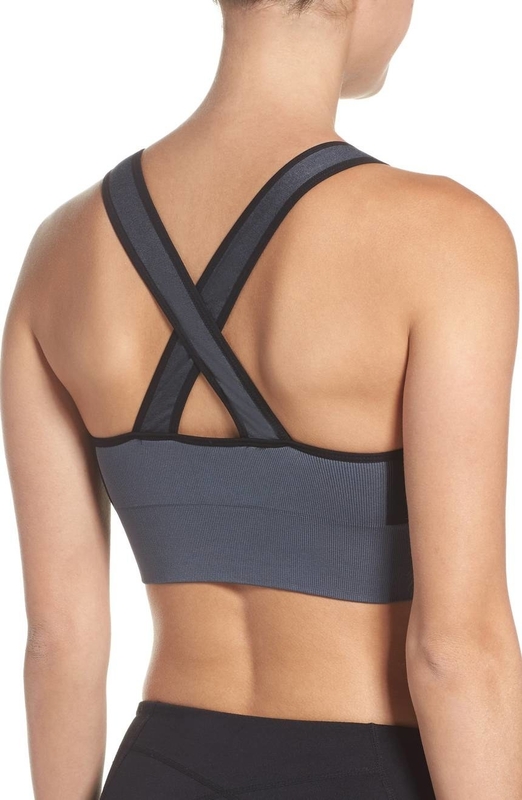 A cross back seamless sports bra to keep your breast friends feeling both comfortable and supported. Price: $23.40 (originally $39) / Sizes: S-L / Available in two colors. 26. 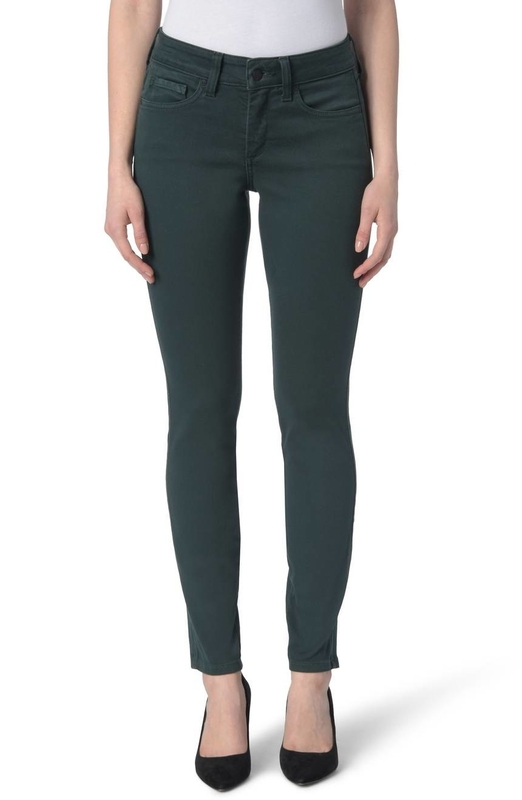 High-waisted leggings that won't rip, tear, or fade after one wash. Hooray! Price: $52.80 (originally $88) / Sizes: 1X-3X / Available in two colors. 27. 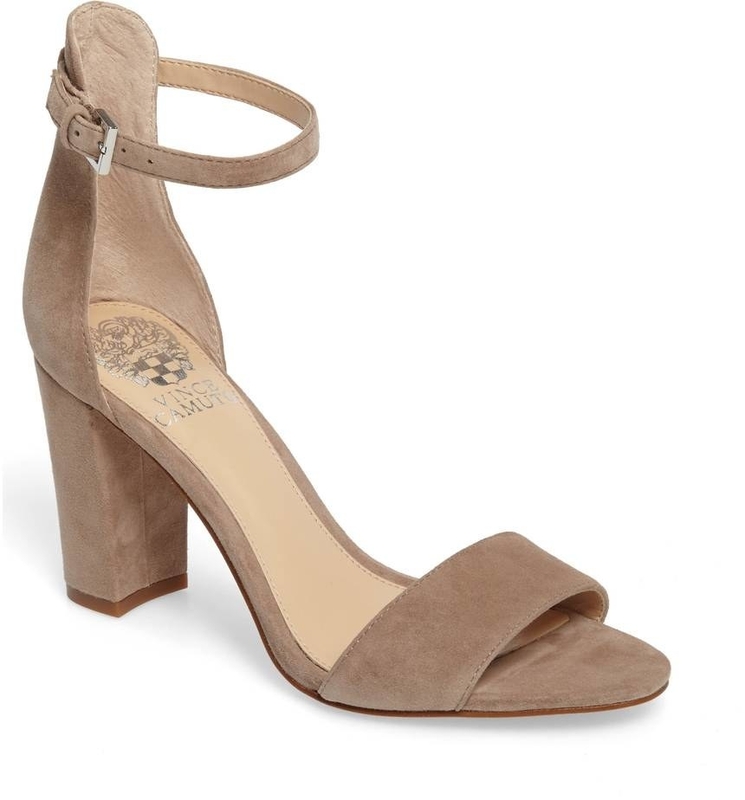 Ankle strap sandals so pretty, you might want to buy 'em in every color available. 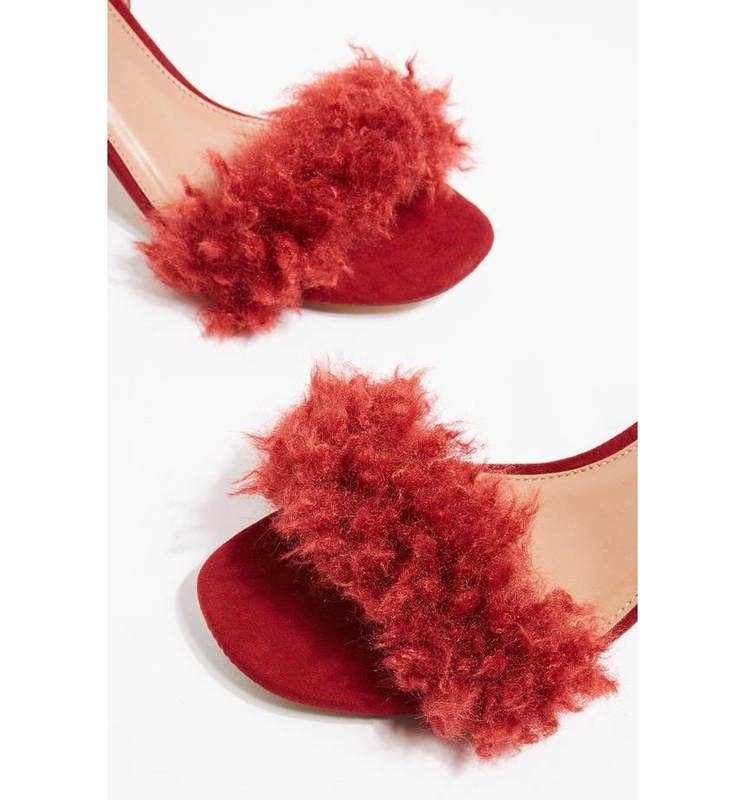 The red and taupe ones, for sure. 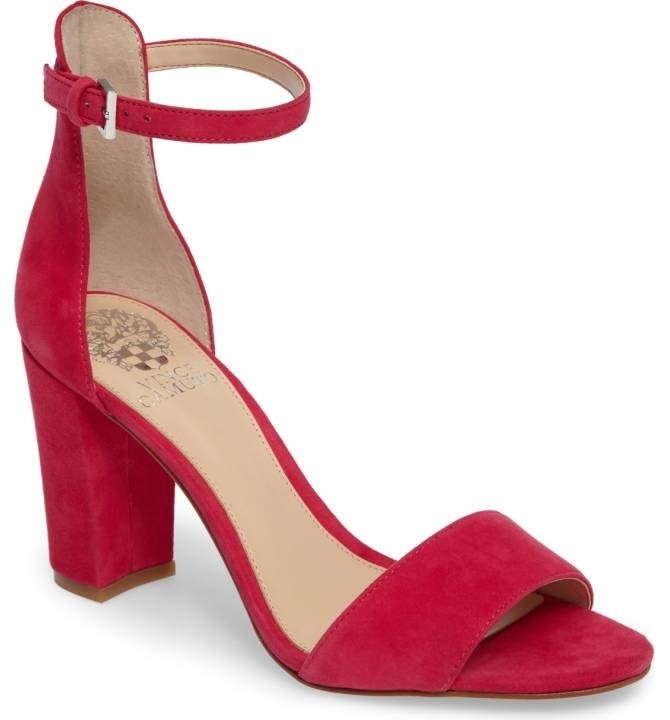 Price: $59.96 (originally $99.95) / Sizes: 4-12 / Available in seven colors. 28. 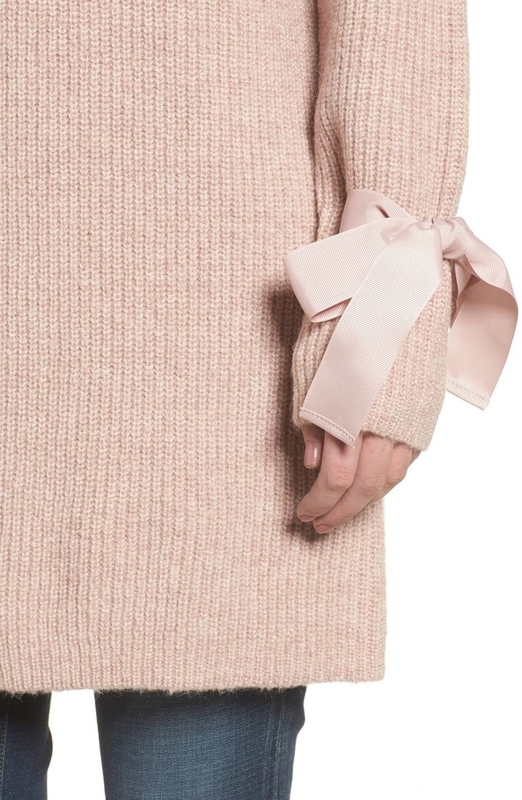 A ribbed sweater tunic that turns your wrist into a pretty little present, bow and all. Price: $47.40 (originally $79) / Sizes: XS-XL / Available in four colors and petite sizes. 29. 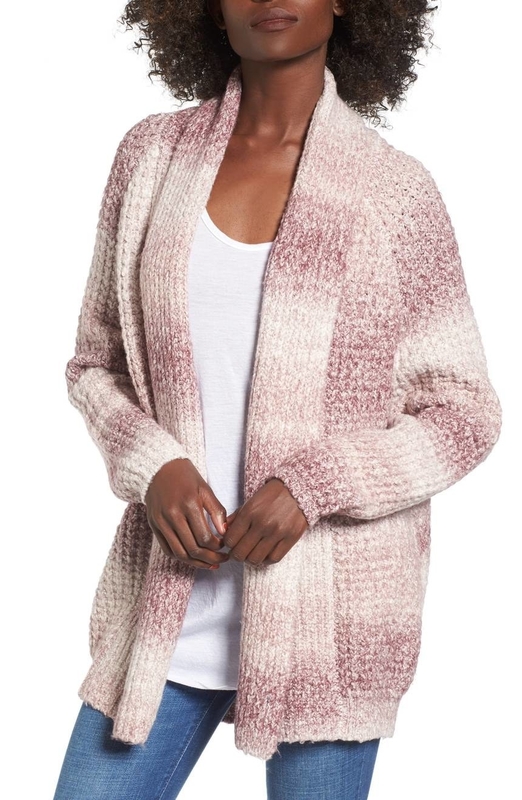 A sweater jacket made from shaggy yarn that you can lie to everyone about. Just say you made this yourself! DIY! 30. A supersoft tee that does not want to be called basic. Do you see those flecks of sparkle? Are those basic to you? 31. 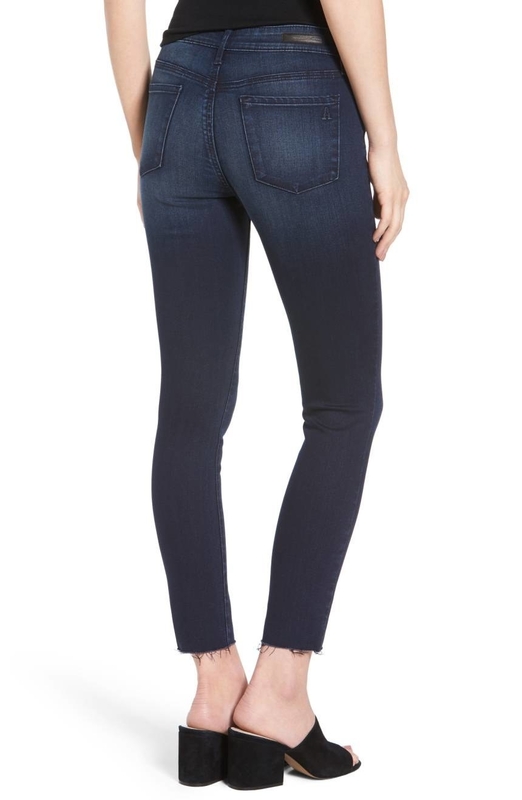 Stretchy cropped skinny jeans in a dark-wash color that'll make any outfit seem significantly more put together. 32. A faux leather tote you can fit your entire life inside of. Books, wallets, keys, used wrappers, chargers, etc. 33. 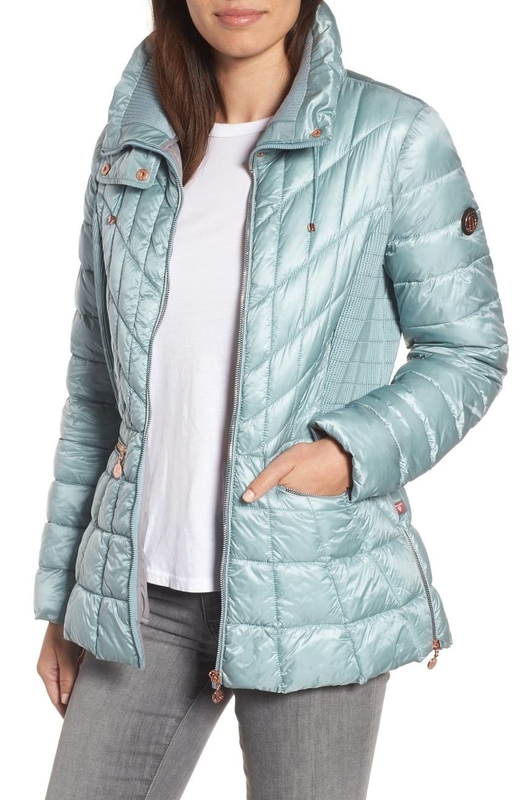 An insulated puffer jacket available in four pretty pastel colors. Rose and sea blue, for example. Price: $89.90 (originally $180) / Sizes: S-XL / Available in four colors. 34. 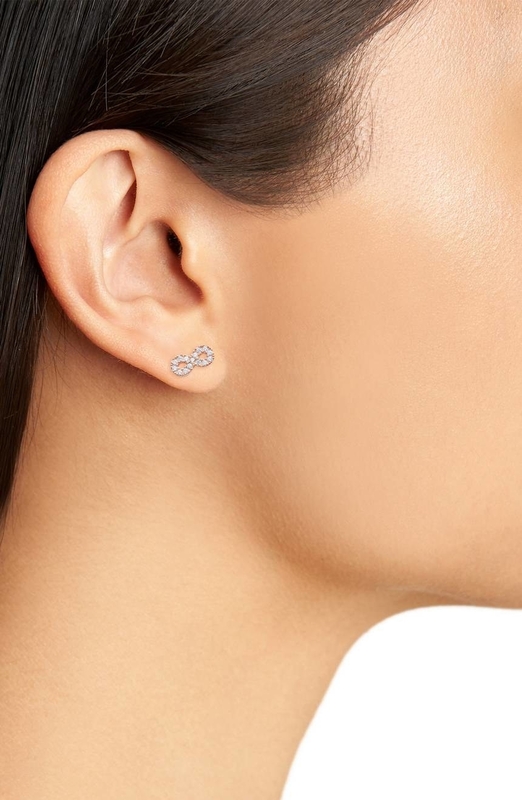 Stud earrings to ensure that no earlobe goes naked ever again! You now have three options to dress 'em in! 35. 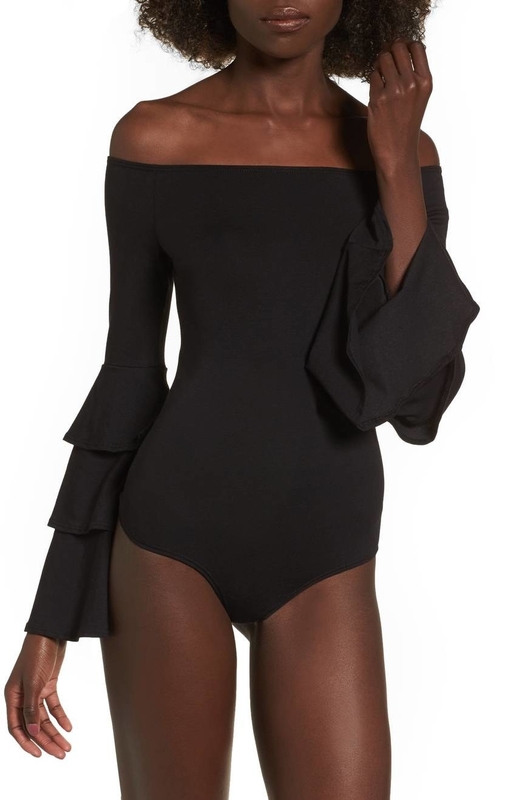 A ruffle-tiered bodysuit with such pretty sleeves, you'll probably shed a tier. 36. 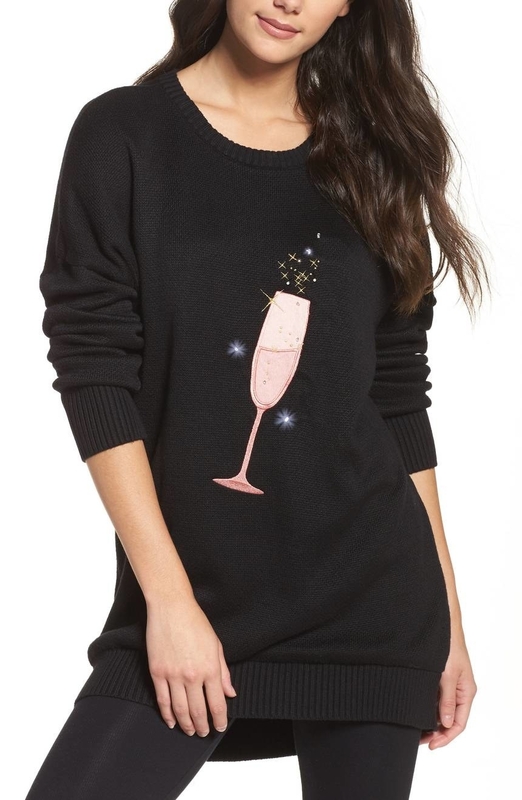 A vintage-inspired sweater so cute, one could say it's really a-bow-able. Price: $47.70 (originally $79.50) / Sizes: S-XL / Available in two colors. 37. 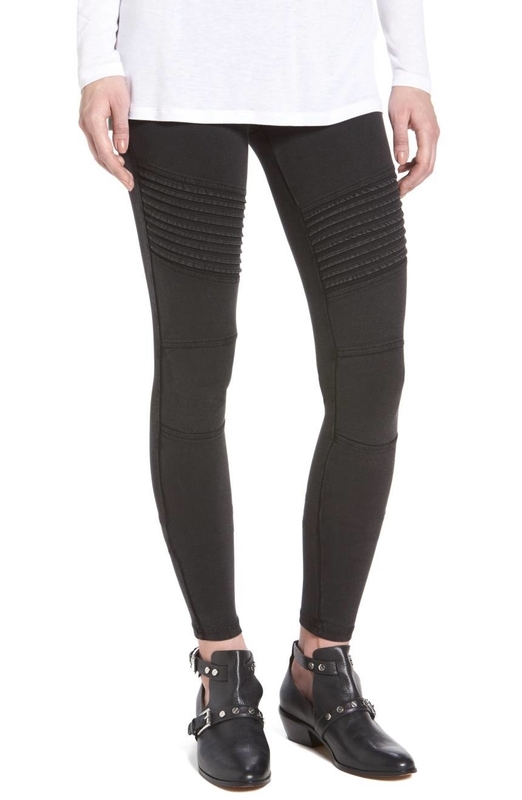 Moto leggings obsessed with Drake. They're always yelling "that's the motto baby, yolo." Price: $26.13 (originally 39) / Sizes: XXS-XXL / Available in two colors. 38. 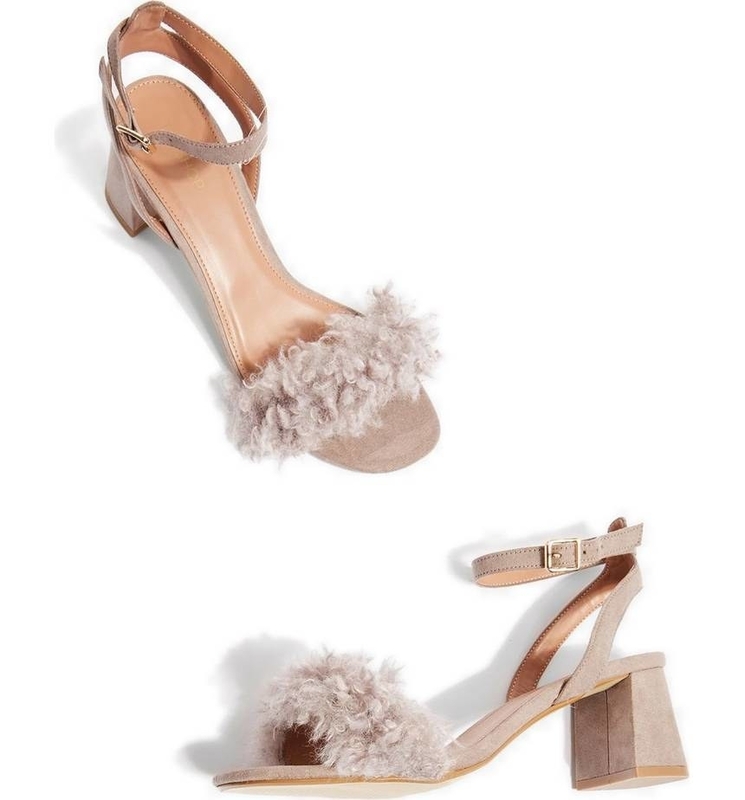 Faux fur sandals everyone is sure to compliment, whether friend or faux. Price: $23.99 (originally $48) / Sizes: 5.5-9 / Available in two colors.